There were many wars, conflicts and battles between different tribes of American Native Indians and the U S Cavalry. Some of these Indian wars ended in bloody massacres. In 1864 the infamous Sand Creek Massacre which resulted in 400 peaceful Arapaho and Cheyenne men, women, and children and babies were killed by forces led by Colonel John Chivington who, with a 700 man force of Colorado Territory militia, committed atrocities against the peaceful villages of Cheyenne and Arapaho Indians. At the Battle of Little Big Horn in 1876 General George Custer and 264 US troops were killed by Sioux Native Americans in Montana. Chief Joseph, chief of the Nez Perce tribe were relentlessly pursued by the US Army for 1300 miles before they were caught. In 1890 the Battle of Wounded Knee resulted in the deaths of 200 unarmed Sioux Indians following the death of Chief Sitting Bull and the final end to the Indian Wars. The French and Indian War erupted during the period of 1688 - 1763. The French and Indian Wars were fought by Great Britain and France who were fighting for lands in the New World. 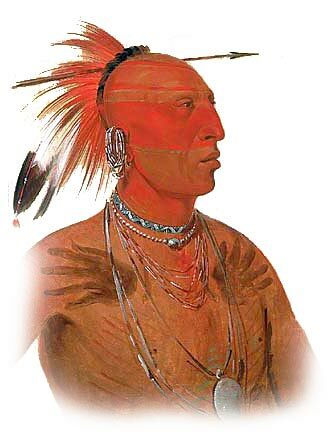 The Native Indians became involved when the Iroquois Indians were allied to the French and the Algonquian tribes were allied to the British during the European wars.